ATLANTA, GA —(July 17, 2014)—Mohr Partners, Inc., a global corporate real estate advisory firm, announces that it has added three team members to its Atlanta office. The expanded Mohr Atlanta office includes six individuals; Managing Partners Deane Stokes, Philip Seagraves and Martin Brannon; Mike Rapp, Vice President; John Peteet, Senior Associate; and Scott Nolen, Associate. The Mohr Atlanta team brings a variety of backgrounds and significant experience in the commercial real estate industry locally and nationally. Mr. Rapp began his real estate career in 1996 with Metropolitan Realty Associates, a local Atlanta brokerage firm. He is exclusively a tenant representation specialist who has successfully represented corporations and investors with professional expertise in leasing, acquisition, lease renewals and build-to-suit opportunities. With a strong financial and analytical background this allows him to add significant value to his clients’ real estate decisions. Mr. Rapp represents local, regional and national companies during their leasing and acquisition of industrial and office properties. He is also responsible for day-to-day duties of developing new business opportunities. 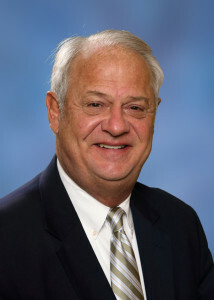 Mr. Rapp is an Atlanta native, a graduate of Georgia State University and a member of the Atlanta Commercial Board of REALTORS. He is also a Certified Commercial Investment Member (CCIM) candidate. Mr. Peteet has been in the commercial real estate industry since 2006 and is instrumental to the continued success of the Atlanta team by securing new clients and strengthening existing relationships. His efforts are directed towards the industrial sector providing our tenant advisory services to local and national companies. He has negotiated and completed transactions in excess of $15 million. Mr. Peteet is an Atlanta native, a graduate of Georgia State University and holds the designation of Certified Commercial Investment Member (CCIM). Mr. Nolen has been in the real estate arena since 2004. 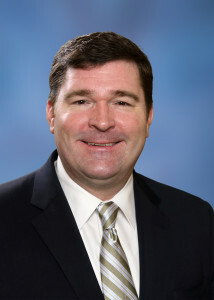 Prior to joining Mohr, he worked with several national and international food-related companies. Most recently, he worked with A. Camacho, Inc. which merged with Mario Olive Company to become Mario Camacho Foods and the largest exporter of Spanish olives in the world. Mr. Nolen was responsible for maintaining and growing their customer base including BJ’s Wholesale, Costco, Publix, Albertsons and Kroger. He implemented a private label program with Publix which resulted in a 38% increase in profit for that year. 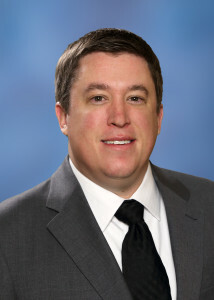 Mr. Nolen brings extensive international food logistics experience and firsthand knowledge of how important locating optimal distribution sites are to maximizing item profitability. He is a graduate of the University of Georgia earning a B.S. in Economics, is affiliated with the Frozen Food Council of Georgia and the Food Manufacturers Executive Club. Mr. Nolen was a member of KA social fraternity and an Eagle Scout. The Mohr Atlanta office was officially founded in 2004 by Mr. Brannon, who was joined by Messrs. Stokes and Seagraves in a merger with Atlanta-based iCORE earlier this year. The office’s three Managing Partners bring over 70 years of collective experience in the commercial real estate industry and established reputations for integrity and success.